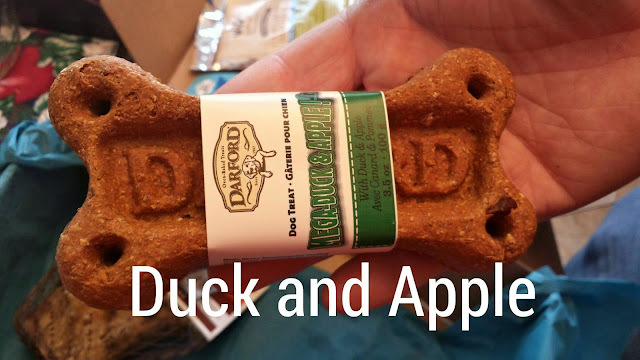 Paws & Play recently re-jigged their subscription box offerings eliminating the To Go option. I thought I should talk a little about the option anyway as it sets the background to their products and services. They offer subscription boxes based on dog size, offer boxes for cats or a subscription for a mixed pet household. My doggy is an AmStaff (pitty). 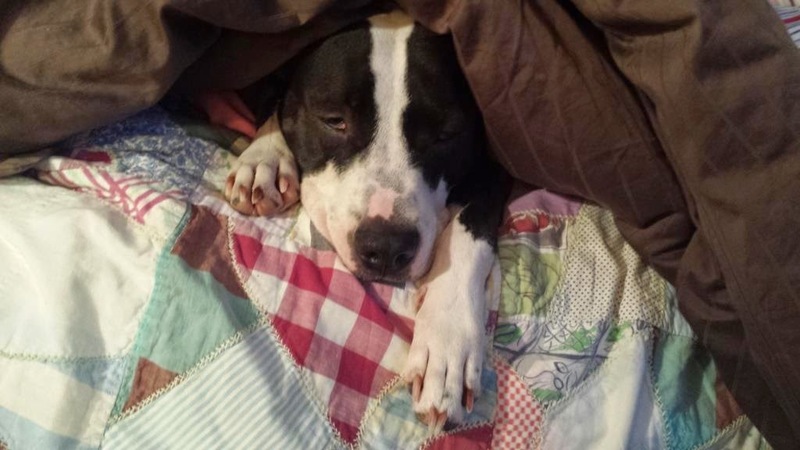 She's a 55lb rescue dog and a wussy baby. Yes. She sleeps under the covers. I signed up for the Standard box as well but opted to get both for the month of February. The To Go Option cost $14.95 / month + taxes and shipping. This entry level box will include: 2-3 of our most popular items including a few samples, one full sized treat or one premium toy. 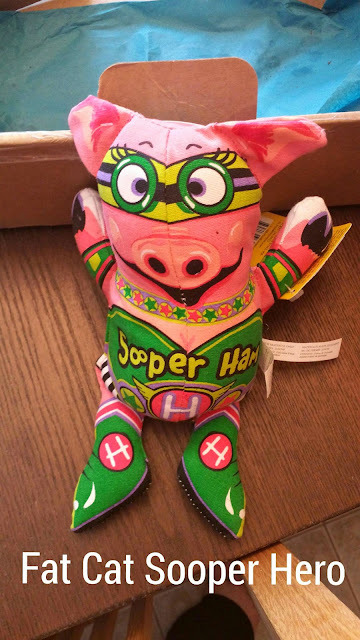 First up is the Fat Cat Sooper Ham Hero. Costing about $15.95 ($9.99 on the US site) it is a slingshot for your pet. Next item is Wild Calling Rocky Mountain Medley which includes Elk, Whitefish Meal & Turkey Meal Kibble. High protein is always good. 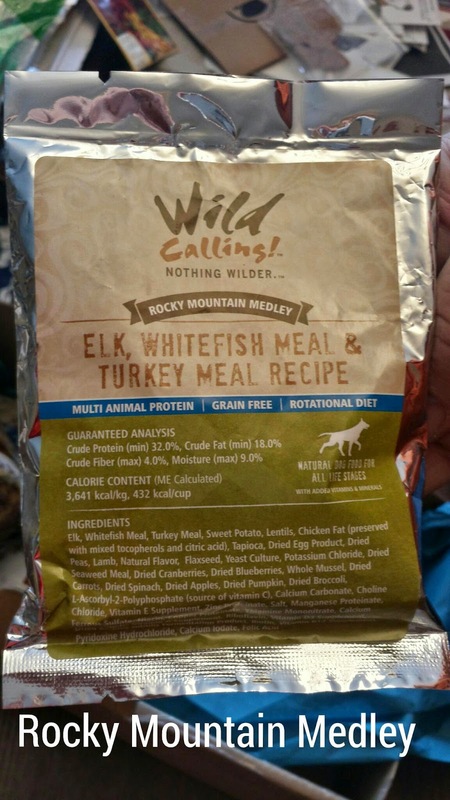 No chicken by-products, fillers, corn, wheat, soy, grain or gluten in Wild Calling lifecycle products. We received another package in November and "The Goo" loved this as a treat. She always enjoys stinky treats. Darford JR Treat is essentially a HUGE cookie. This flavour is Duck and Apple. It retails for about $3.95. 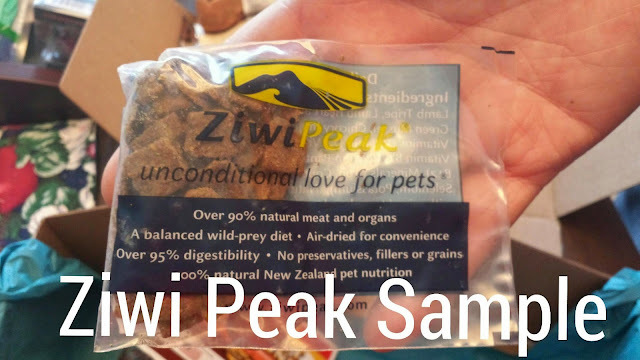 ZiwiPeak is an Air-Dried 90% protein gourmet dog food. These packages are pretty handy for training. The Goo really likes them. 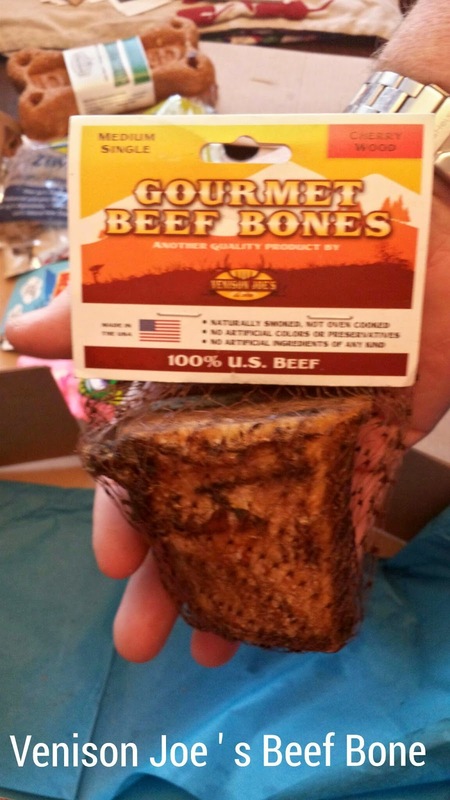 Venision Joe's Gourmet Beef Bones come from 100% US Beef. This flavour was cherry wood. Cost is $4.95. Honestly? The Goo is undecided. She licks at it and then walks away. We'll see. So that's a summary of the final Large Dog To Go box. I thought it was well priced and excellent value. But fear not... The Standard Box is even more fun!